As it gets cold outside, the number one question we get is: how do we keep our baby warm in their car seat? For new parents if there is ONE product we would suggest buying your new baby this winter, this is it. DID YOU KNOW THAT YOU ARE NOT SUPPOSED TO PUT YOUR BABY (OR TODDLER) IN A DOWN COAT WHILE IN THE CAR SEAT, OR HAVE ANYTHING BETWEEN THE BABY AND THE BACK OF THE CAR SEAT? Ultimately, NO FLUFF! Puffy jackets and other thick blankets between the baby and the seat can change the way the car seat fits your baby, possibly resulting in injury should you be in an accident. The good news, is that many brands, have created incredible products to help us keep our winter babies toasty in the freezing cold. 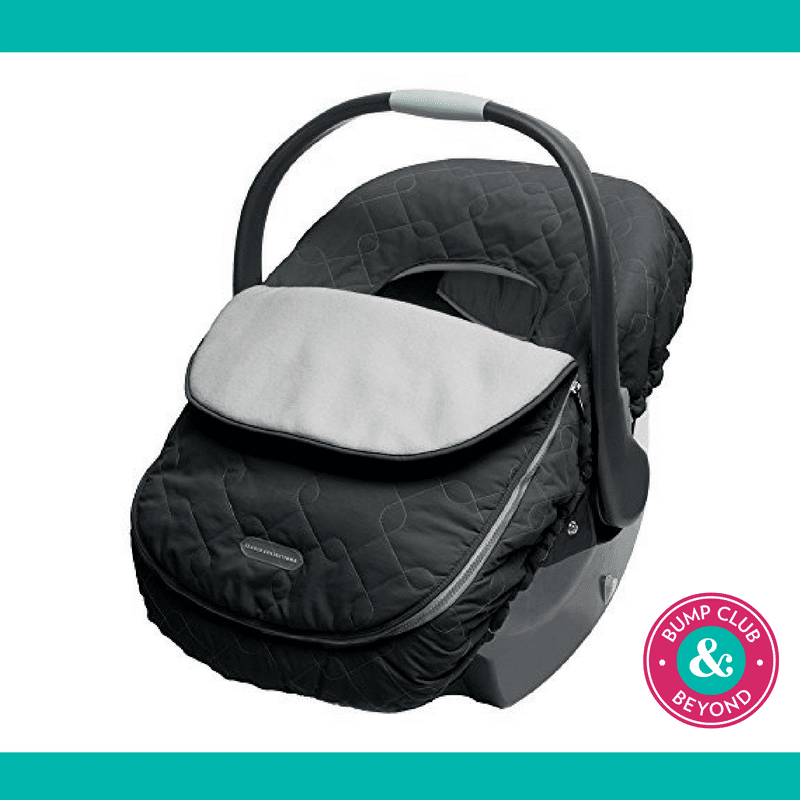 The key is getting a product that goes OVER the car seat, shower cap style, like the JJ Cole Car Seat Cover ($29.00). This product will not interfere with the straps on your car seat, but will also provide warmth. 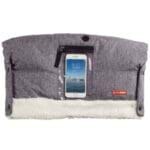 On a very cold or snowy day you can close the flap so that baby is protected when you take them from the car to inside and vice versa. Additionally, you can keep your baby warm with fleece outerwear. Some of our favorites include these by Columbia (currently on sale for $29.99), Patagonia and The North Face. Check out this article from The Car Seat Lady that talks all about keeping baby warm in the winter in the car. (She is good friends with BCB’s Baby Gear Expert, The BabyGuyNYC and certified him as a Car Seat Passenger Safety Technician.) Please make sure to take a minute to review the advice The Car Seat Lady gives. It’s important to know this information and to share it with your friends, especially as we move into the winter months.